NGC 281 is an H II region in the constellation of Cassiopeia and part of the Perseus Spiral Arm. It includes or is near the open cluster IC 1590, the double star HD 5005, and several Bok globules. It is visible in amateur telescopes from dark sky locations. 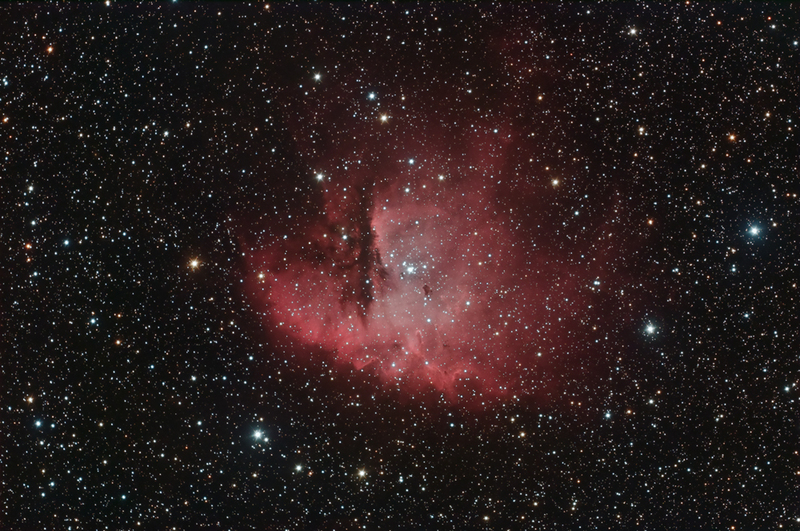 It is sometimes unofficially referred to as the Pacman Nebula owing to its fancied resemblance to the eponymous hero of the arcade game Pac-Man.